Lahari predicts the number of island residents needing some kind of assistance will increase by about 70% in five years and more than double within 10 years.This substantial increase will impact the wide range of services needed to stay and age on Orcas; like home health, home care and assistive transportation services. Absent access to reliable and affordable travel options, seniors face isolation, a reduced quality of life and possible economic hardship. A 2004 study found that seniors age 65 and older who no longer drive make 15 percent fewer trips to the doctor, 59 percent fewer trips to shop or eat out, and 65 percent fewer trips to visit friends and family, than drivers of the same age. Orcas Door to Door is designed to meet the needs of non-driving, homebound older adults and adults with disabilities on Orcas Island. The program is available to qualified riders who need door-to-door assistance to access essential services and social events in order to remain healthy and active within our community. Visit OrcasDoorToDoor.org to enroll as a member, or to become a volunteer driver. 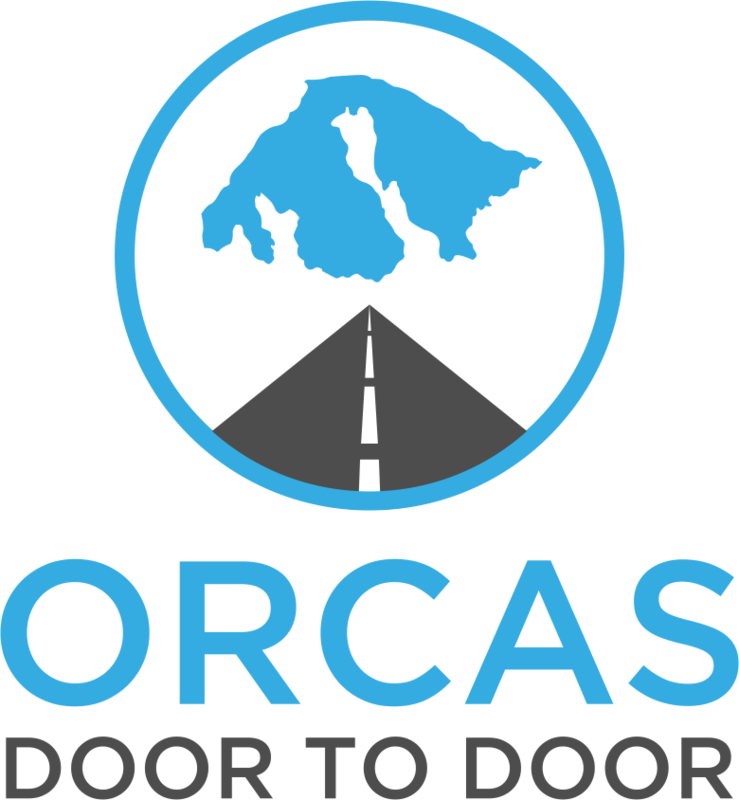 Orcas Door to Door is an assistive transportation service for Orcas Islanders age 60 plus or for people with disabilities, either temporary or permanent, that result in their inability to drive. The program is available for those who need door&dash;to&dash;door assistance to access essential services and social events in order to remain healthy and active within our community. Orcas Door to Door provides rides with volunteer drivers using their personal vehicles. The drivers have passed both driver record and criminal background checks as well as completed a required driver training and orientation session. Rides are provided at no cost to enrolled members, although donations are gratefully accepted. Volunteer drivers are not permitted to accept tips or any cash. Orcas Door to Door will be establishing a membership fee to help pay for insurance and other administrative overhead. The membership fee will be established as the demand for rides and the administrative costs are understood. Payment plans will be available and low income residents may apply for assistance. Note: Membership Fees are waived for a limited time during the program’s launch and rollout. Members enrolled during this period will receive their first year free. Member Application Packets are available at the Orcas Senior Center Front Desk or call 360-622-2929 to have the packet mailed to you, or enroll online HERE. Providing rides for those that are unable to drive themselves maintains the Island tradition of neighbors helping each other. Providing not only essential medical and shopping trips, but rides to social and community events to help elderly residents to continue to enjoy the vibrant Orcas community and culture that attracted us to live here. Providing rides helps reduce social isolation. Social isolation has been shown to have a negative impact on well being and increase depression. As a founding volunteer, you will be helping to build an essential service that will fostering successful aging on Orcas Island. Volunteering now will help to build the organization so that rides will be available when you need them in 5 or 10 years, or after your next medical procedure. To become a Volunteer Driver apply online HERE. Volunteer Driver Application Packets are also available at the Orcas Senior Center Front Desk or call 360-622-2929 to have the packet mailed to you.